Our Grand Canyon RV park is nestled beside untouched, tranquil forest land, where you can find the peace and quiet you're looking for on your vacation. Set atop a hill, our property gives you picturesque views of the valley below and the magnificent night sky above—something no other Grand Canyon RV parks offer. 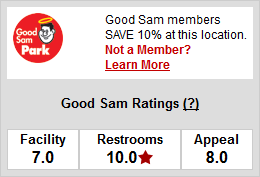 Williams, Arizona is a destination known for one-of-a-kind attractions. Only in Williams will you find a scenic railway tour, a drive-thru wildlife park, wild west entertainment, Route 66 and more! 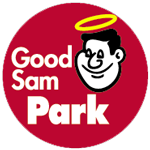 We are a Good Sam Park!